We are delighted to present the details for Kings View ideal for a cottage holiday in Dartmouth, Devon. To book or find out more please use the Booking Info or Availability buttons below. There is wifi or internet access available at Kings View in Dartmouth. Perfect for searching for things to do whilst on holiday, catching up on emails or even work if you have to. On nice days, when you want to relax you can sit out in Kings View's garden and enjoy the sun shine. Children also love the outdoors so it can be a great place for them. Although, with young children you should always check any garden is safe for them. Why waste part of your holiday doing the washing up. Kings View has a dishwasher installed to save you time, and family arguements, about the washing up. Everybody hates doing the washing up and the last thing you need is a big family arguement about who is going to do the washing up while you are on holiday. Great news if you just want to get away for a long weekend or short break. Kings View accepts bookings for short breaks. So if you fancy a few days in Devon to recharge your batteries then this cottage is well worth consideration. Kings View sleeps up to 6 people so could be perfect for your family or group. 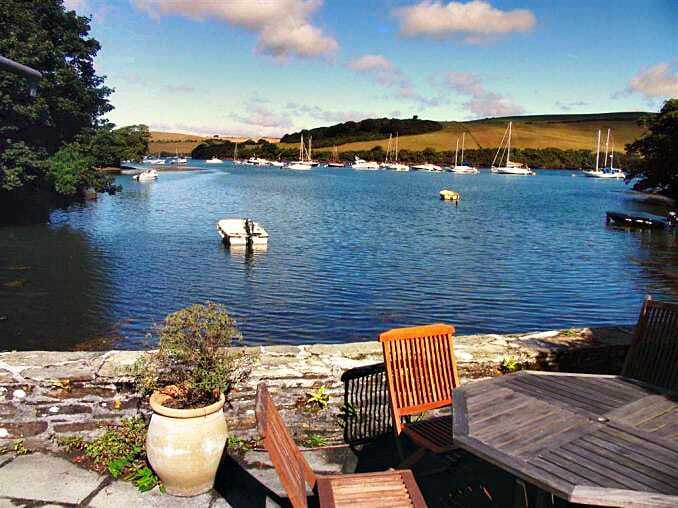 So if you are looking for a family holiday in Devon then Kings View could be just the ticket. A tastefully refurbished and well-equipped semi-detached house in a historic area of Dartmouth and within a minutes' walk down Horn Hill Steps to the town centre. The property is spacious and light, decorated and furnished to a high standard with lovely views across the town to Kingswear, the mouth of the river and the Naval College. Stairs to First floor. Bedroom 1: kingsize bed (5'), bay windows with superb views of the town and water, feature fireplace. Bedroom 2: twin beds (3'). Shower room: large shower with remote controlled shower, basin, WC. As you can see Kings View is located in a great location. The perfect base for any holiday around Dartmouth. And well suited to explore the whole of Devon. There are plenty of great places to vist near Kings View. Take a look at out holiday ideas pages for details of many places that are well worth considering visiting whilst on holiday at Kings View.